Dublin Port Company C.E.O. Eamonn O’Reilly has recently announced a revised capital investment programme of €1 billion over the next ten years to keep abreast of the continuing expansion of the Port. This figure shows an increase of €400 million over the investment projected last year. Dublin Port has seen growth of 37% over the past six years, and there is no sign of this expansion slowing down. Mr. O’Reilly said that the investment funds will come from their own resources, funding from European Investment Bank and other lenders. It’s major policy decision is to deepen the port to 10 meters rather than 12 meters as previously mooted. It has also increased the extent to which it plans to expand the port’s capacity. All the while, as state and semi state agencies, private industry and other sources are announcing their long awaited plans for massive development projects over the coming years, the very real question is where are all the professional consultants coming from to realise these huge development and infrastructure programs? There is an acute shortage in professional disciplines, whether in Architecture, Civil Engineering, Structural Engineering, Mechanical & Electrical Engineering, Project Management, Construction or any other related expertise. There has never been a more opportune time for expat members of these disciplines to actively consider returning home. It has taken Government a long time to wake up to the myriad of obstacles which have hindered efforts to encourage expats to return. Housing, exorbitant rents, Schooling, Child care and Healthcare are but a selection of issues militating against a move to return. These and other issues, are now being actively addressed by State Agencies, and a series of other, financial incentives are being put in place to fill the shortfall in Construction professionals. In addition to expanding the port, Mr. O’Reilly pointed to their intention to reintegrate the port with the city, and there are ambitious plans to construct a 4 kilometer greenway for pedestrians and cyclists on the north fringe of the port overlooking the Tolka estuary. There are continuing ongoing plans to develop the southern dockland quays as integrated civic landscaped spaces in partnership with Dublin City Council. Mr. O’Reilly said that the port is anticipating significantly larger movements between Continental Europe and Ireland after Brexit, and they are working with the relevant State agencies to ensure border control and inspection facilities are in place to deal with the potential effects of Brexit. Work has begun on the so-called Dublin Inland Port close to Dublin Airport, which will cover 44 hectares, and house logistics operations on the port’s behalf. 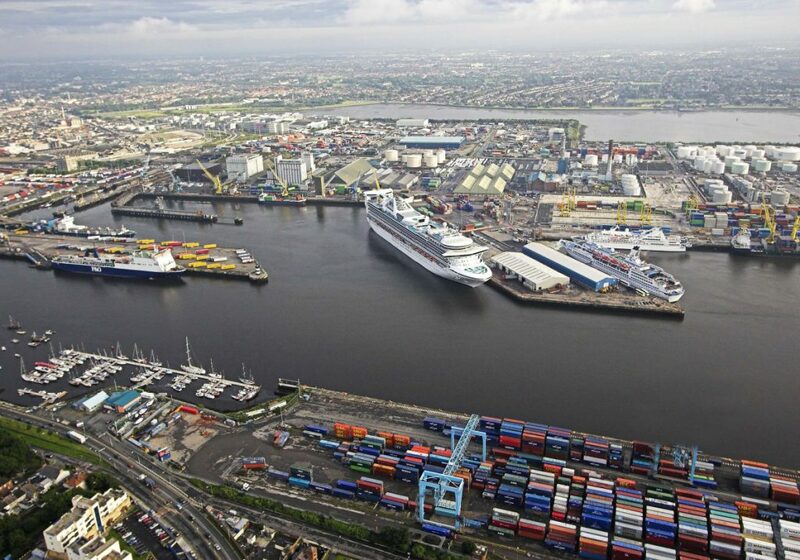 They are also working on the Southern Port Access Route – designed to connect the port tunnel on the north side of the Liffey with the ports southern lands on the Poolbeg peninsula, but this connection will now be by way of a new bridge rather than the tunnel extension. If you are considering a career move and wish to discuss the current opportunities within Architecture, Engineering, Quantity Surveying and Construction, please contact c.herlihy@gpcireland.com or call Caroline on +353 86 8055216.